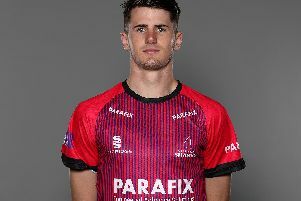 Sussex Sharks skipper Luke Wright praised spinners Danny Briggs and Will Beer and batsmen Laurie Evans and Delray Rawlins after his side reached the Vitality Blast finals day. Sussex beat Durham by five wickets to reach the finals day at Edgbastion on September 15 - the first time the side have reached the showcase event since 2012. Wright: "We dragged the game back with the spinners. We bowled all the big names with our seamers. "I think throughout the tournament Danny Briggs has been absolutely outstanding, he's been my go-to-man. "Will Beer getting those wickets dragged us back. I always felt that if we could get back in the game, we could finish the innings well with our seamers. The decision was made for me by Durham and the way they played. We tried to change up the pace and make them make their decisions, luckily we got some wickets and dragged it back. "Laurie Evans has been our rock throughout the whole competition. His numbers speak for themselves. Just our calm he was tonight to keep backing it up again and again is tough. I thought his innings was perfect. "He showed all of his experience as well. We've got a little superstar in Delray Rawlins. We've known how good he can be. He likes the TV cameras as well, but some of the shots he played were breathtaking. We're really excited about him, I think he has a very exciting future to come. "It's great for us as a club to reach Finals Day. I have to give the coaching staff a lot of credit as well. The environment they've set up has been outstanding. You go for the Finals Day, it will be a great day out, anything can happen on the day, but you've got to be there to win it." Durham captain Tom Latham: "We got off to a flyer. Pace on the ball can sometimes work in the batsmen's favour. Everytime we threatened to build partnerships the spinners managed to take wickets. Trying to defend 140 you need everything to go your way. We managed to get a couple of early wickets, but those two [Evans and Rawlins] took the game away from us. Credit to the way Sussex played tonight."